No big advertising logos on our trucks! Welcome to PARKER'S SAFES AND VAULTS! "Your Place for Quality Safes!" Thank you for visiting our site! Parker's Safes & Vaults is a veteran-owned, family-run, home-based, safe and vault dealer. We deliver and install safes and vault doors in Tennessee and the surrounding states including Alabama, Georgia, and Kentucky. We also ship safes NATIONWIDE! 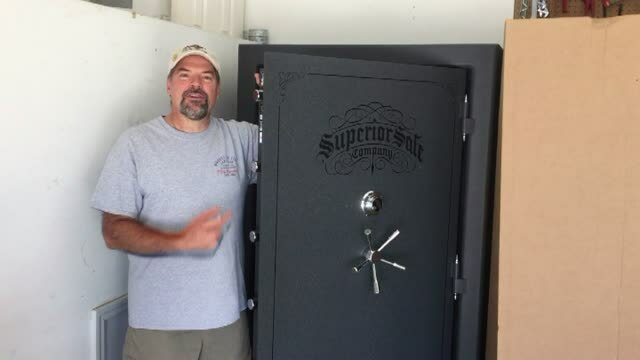 We carry many brands of quality safes and vault doors including: SUPERIOR SAFES, CHAMPION SAFES, RHINO SAFES, AMSEC SAFES, GRAFFUNDER SAFES, HAYMAN SAFES, GOLDEN SPIKE VAULT DOORS, VAULT PRO USA, FIREKING FILE CABINETS, and CUSTOM SAFES in sizes from pistol safes up to 95 cubic foot gun safes and even bigger prefabricated vault rooms and storm shelters. We also carry COMMERCIAL SAFES, FIRE-RATED SAFES, IN-FLOOR SAFES, MEDIA SAFES, WALL SAFES, HOTEL SAFES, CASH DEPOSIT BOXES, JEWELRY SAFES, and SECURE FILE SAFES. WE DELIVER, INSTALL, AND SERVICE! That means we'll bring your safe to you, put it where you want it, get it level, bolt it down (if you want), explain how to operate and maintain your new safe and lock, and explain the warranty. We'll also help you if you have a problem in the future. We are Factory Authorized to service and repair safes. We professionally open safes and vaults and have extensive experience in the operation, service and maintenance of safes and locks. Our delivery and installation is ALWAYS DISCREET. (You don't have to request it) We'll never show up with big advertising logos on our trucks as our competition does letting all your neighbors know that you're getting a safe. Our prices for delivery and installation are hard to beat! Many companies charge 2-3 times as much! Please have a look around our website. If you're in the market for a safe but haven't decided where to shop, I invite you to read what our customers have to say about us on our REVIEWS PAGE. These are verifiable customer testimonials and should give you a good outline of our products, services, and customer satisfaction. The PARKER'S have been providing quality safes to folks for over 30 years. My name is associated with this business and I am dedicated to providing quality safes and professional service. I know the value of a satisfied customer and do all I can to ensure that satisfaction. If you have a problem, you can call on me 24/7. My personal cell is 931. 842-6445. PROFESSIONAL SAFE CRACKING SERVICES AVAILABLE FOR ANY SAFE! If you'd like to see and talk about some quality safes in person please call to arrange a visit. If you just have some questions about safes, please call, email, or text me. I'll do my best to find the safe that best meets your needs and fits your budget. (931)842-6445 -okay to call or text! Click the links below to visit some of our safe manufacturer's websites! PARKER'S SAFES AND VAULTS- TENNESSEE'S PLACE FOR QUALITY SAFES! serving middle tennessee, nashville safe, franklin safe, brentwood safe, murfreesboro safe, hendersonville safe, columbia safe, lebanon safe, mt. juliet safe, chattanooga safe, shelbyville safe safes in nashville, alabama safe, kentucky safe, georgia safe, safes in the u.s.
"Wonderful purchasing experience. Will recommend Parker's Safes and Vaults to all my friends and family. 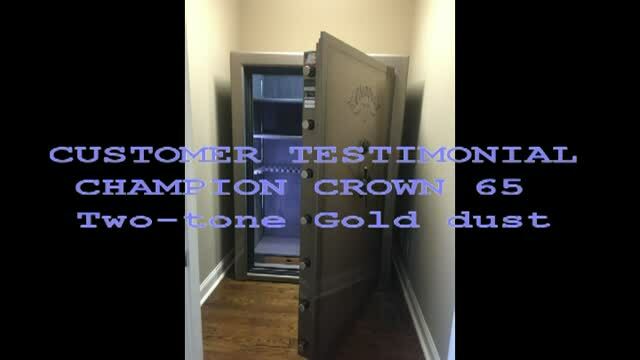 Working with Aaron was an absolute pleasure as he took the time to find the safe that best fit our needs. Very, very happy and look forward to purchasing from them again!" © 2019 PARKER'S SAFES & VAULTS. All Rights Reserved.